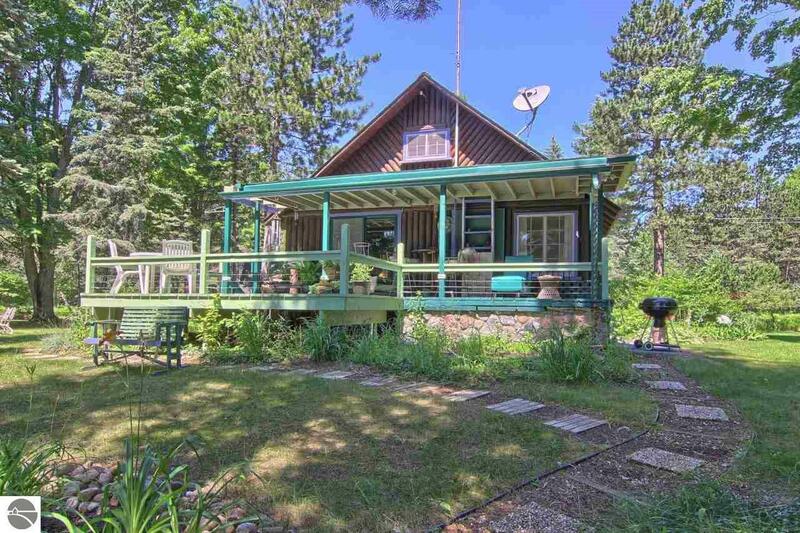 Delightful log home full of charm and character. Perfect peaceful setting on 11 acres with 350' on Craven Pond. Relax on the covered patio overlooking the manicured grounds. Cut stone fireplace with wood stove insert highlights the open living area. Beautifully updated kitchen where you will love to entertain. Restored wood floors throughout. Master bedroom with water view, walk in closet, large tiled walk in shower. 2 car garage plus outbuilding that could be made into guest quarters or a workshop. Full basement has large laundry/utility room plus a family room. Updated plumbing and electric. A serene atmosphere for year round living or a seasonal getaway! Waterfront: Priv Frontage (Wtr Side), Water View, Pond, Yes, 350 Ft.